During the sixties the winds of change blew through our culture like a storm and the first of the baby boomers were graduating from college to seek their dreams. For two young men who became friends during this era, they found their dream literally "blowin' in the wind". John Harris and Ralph Buxton were these two young men. They had been friends while in college, both were engineers and they shared the love of the California coastal lifestyle and sports. After college they went in separate directions but stayed in touch. Both on the east coast now, Ralph moved to Annapolis, Maryland while John settled inland North Carolina in Winston-Salem. One day in 1973 John Harris phoned Ralph to tell him about an adventure he had on the Outer Banks of North Carolina. He had gone to Jockeys Ridge, the tallest sand dune on the east coast, had strapped himself into a hang glider and discovered the thrill of wind-powered flight. Out of this conversation came an idea and the two developed a plan to start a business in Nags Head renting hang gliders. In 1974 they started Kitty Hawk Kites in an old garage right across the street from Jockey's Ridge with the Atlantic Ocean at their backdoor. This garage was part of the Casino, a Nags Head nightspot, and even though they shared it with another tenant, it was the perfect location. Located between Jockey's Ridge and the Atlantic Ocean, a 10 minute walk took them hang gliding to the west or surfing to the east! Nags Head was a small town then and most visitors spent their time fishing and swimming but soon, hang gliding caught on and business boomed! Unfortunately as rentals increased so did damages to the hang gliders. 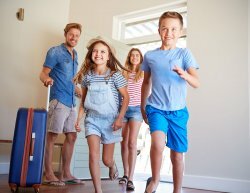 The young entrepreneurs found themselves spending too much time making repairs and less time enjoying the beach lifestyle they had envisioned. After thinking it through, they decided the solution to the problem was also an opportunity. Kitty Hawk Kites gave birth to a hang gliding "school" and it was now a policy that anyone who rented a kite had to take a lesson. With this plan they attracted more customers, revenue increased and the kites were not being damaged like they had been. This mission became their new business model. 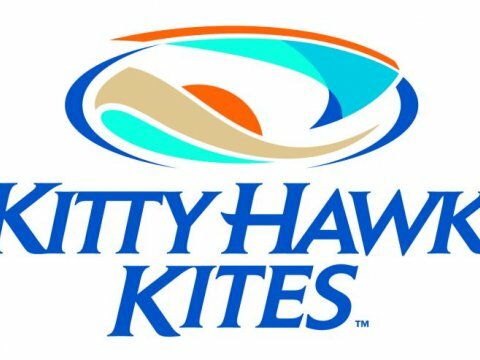 Kitty Hawk Kites would not only be a retail and hang gliding rental establishment, but it would now teach customers how to master the sport. 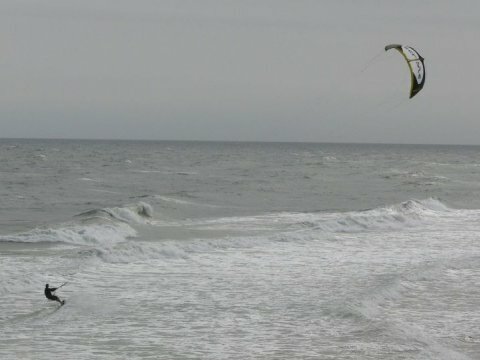 Soon, Kitty Hawk Kites made Nags Head a hang gliding destination. 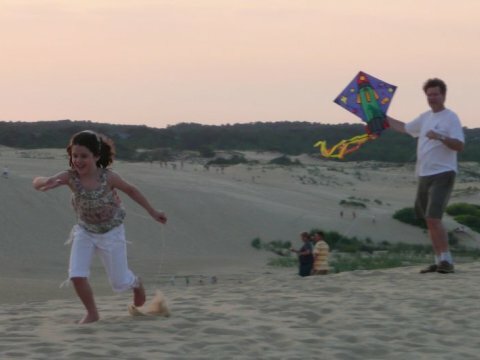 Jockeys Ridge was now a NC State Park and issued hang gliding permits and Kitty Hawk Kites had been granted a concession permit. So the business continued to grow and t-shirts, kites and more sports equipment were added to the inventory. John and Ralph looked for a place where they could expand and leased a residential/retail building near the garage. By 1979 with yet another expansion needed, these young entrepreneurs acquired property at the north end of the garage property and built what is now known as the tower. Within a year, windsurfers and catamarans became the most popular water sports and along with added sports, sales, rentals and lessons, and yes, it was time for the next addition. The old Casino had by now collapsed and the "Quizo" bingo parlor at the southern end of the land parcel was for sale. With the purchase of the Quizo building, Kitty Hawk Sports was born. Later, in 1986 the land between Kitty Hawk Kites tower and Kitty Hawk Sports was acquired and Kitty Hawk Connections was built. John Harris and Ralph Buxton were now very successful businessmen developing retail and sport stores in almost every town on the Outer Banks. 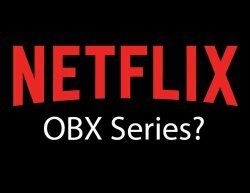 In 1991 the two businesses became separate entities with John Harris managing Kitty Hawk Kites and Ralph Buxton managing Kitty Hawk Sports with maintained joint ownership of the properties. On every shift of the wind and tide, Buxton and Harris set their sails to catch the new trends in these sports and bring the experiences to the public. Their once small hang gliding school is now the largest school of it's kind in the world. 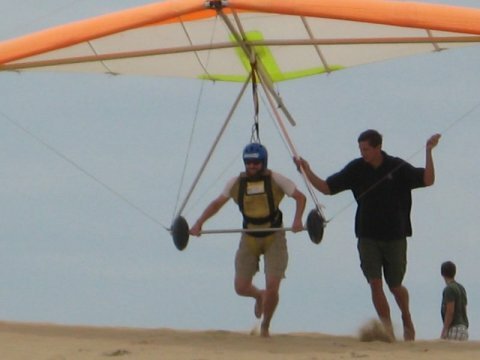 The Kitty Hawk Flight School provides beginning, intermediate and advanced instruction to students as well as instructors in foot-launched and tandem hang gliding, 35 instructors instruct over 10,000 each year. Since 1964 over 300,000 students have gone through the school and receive certification meeting the US Hang Gliding associations published standards. The two "surfing hippy" engineers were happy with their humble hang glider rental business and had no idea it would grow from half a garage business into a wind and water sport empire. 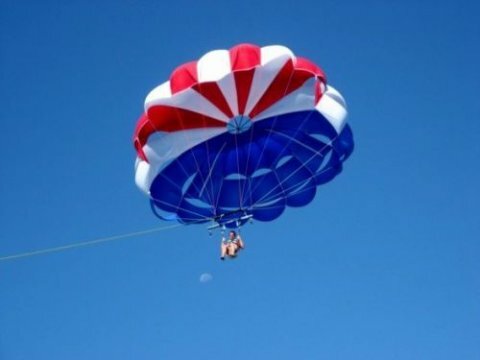 Their world exploded into instruction, sales and rental for hang gliding, sailing, surfing, kiteboarding, kayaking, jet skiing, rock climbing, water skiing, segway tours, wakeboarding, parasailing and boogie boarding and the all the gear that goes with each. Their retail stores offer outdoor clothing, shoes, hats, stunt and recreational kite products, windsocks toys, tees and gifts, garden chimes and spinners as well as a "Life is Good" store. And last but not least is the new Waves Village Kiteboarding Center and Resort, a waterman's dream where you can rent or buy a condo and have a one-stop shop for lessons, adventures, rentals and shopping for everything offered by Kitty Hawk Kites and Surf. John and Ralph had good ideas, good business sense and good insight into the future. From a garage to greatness, they have lived the beach lifestyle they wanted and brought everyone else along for the ride. 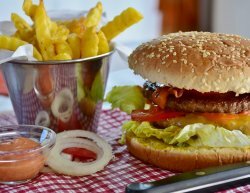 It doesn't get any better than that! In 2010 Ralph Buxton retired and sold Kitty Hawk Sports to his long time friend and partner, John Harris of Kitty Hawk Kites. With the new owner came a new name, Kitty Hawk Sports became Kitty Hawk Surf. The core beliefs of the company are the same. Harness the powers of the wind and water and "harness the spirit of adventure" by providing the instruction, the equipment and the opportunity for an exciting experience. Listed in National Geographic as one of the best adventure travel companies on earth, you'll find Kitty Hawk Kites and Kitty Hawk Surf locations in Corolla, Duck, Nags Head, Manteo, Rodanthe, Avon, Hatteras, Ocracoke, Ft Walton Beach, Fla and Destin Fla.
Kitty Hawk Kites Flight School is the oldest hang gliding school on the east coast! 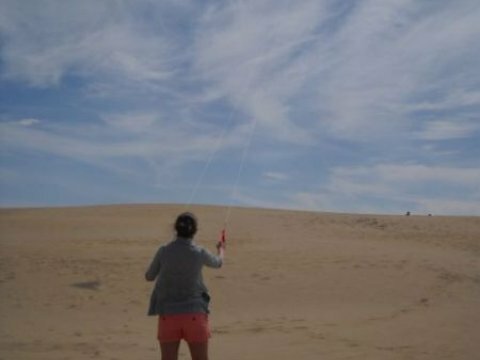 Providing instruction for beginners, intermediate and advanced hang gliding, the Flight School is located at the Nags Head Store across from Jockey's Ridge. In addition, at the Currituck County Flight Park, you'll find instruction and certification available for ultralight, tandem and tow hang gliding. Call the Flight School at 252-441-2426 for more information about adventure at the 100 acre flight park. The original Nags Head Store is the largest at 8.042 square feet and offers a rock climbing wall, the Flight Deck (aviation clothing), Carolina Outdoors (outdoor clothing), stunt and recreational products, shoes, windsocks, toys and gifts. Adjacent is the Kayak Store and next door is the Life Is Good Store. Climb the tower to the deck and get a birds eye view of all the action on Jockey's Ridge! Other retail locations in the Outer banks offer the same services, quality merchandise and sporting equipment and gear. With some sites differing from others, use the easy to follow guide here or phone anyone of the stores for specific details on what each offers. With five locations to serve you, they have exciting beach gear, surfboards, surf, gear, paddleboards, kayaks, skimboards and kayak rentals. Featuring O'Neill, Roxy, Billabong, Quicksilver, Volcom, the North Face and Patagonia these stores are the ultimate for the water sport enthusiasts! Rent or purchase equipment and take advantage of the many yours and lessons available. 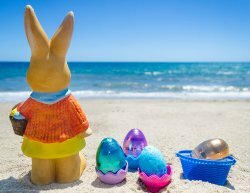 At the largest facility in the Kitty Hawk Kites family, you can rent or buy one these beautifully furnished condos in Rodanthe on Hatteras Island. You'll never have to leave since every water sport imaginable is right at your fingertips with the newest Kitty Hawk Kites and Surf stores on location. 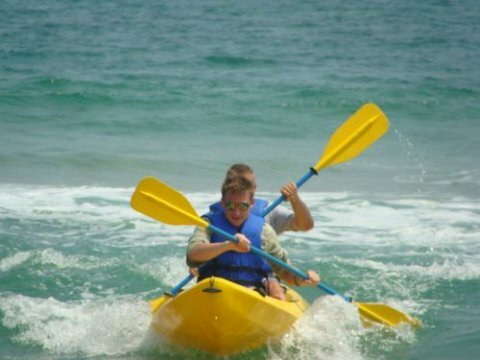 Everything from tandem gliding to wild horse and dolphin tours are offered to the adventuresome! 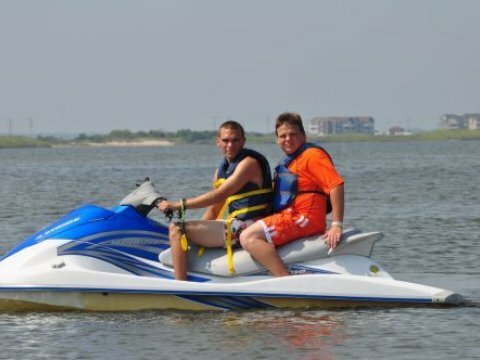 All lessons include all equipment and full assistance to maximize your fun and learning. Follow this chart and location listing to find your adventure and location. Starting the second week of June and running until August 31. Everyone is welcome to the Kitty Hawk Kites Nags Head store at milepost 12.5 on the Outer Banks. It's filled with FREE face painting, games, kite making, and more!